USA Today released an article this week on stem cell therapies credited with helping two retired athletes recover from debilitating strokes. According to the article, former NFL quarterback John Brodie and former NHL player Gordie Howe each sought treatment at clinics outside the U.S. The treatments they received involved the use of stem cells, and by all accounts, both men have recovered following the treatments. Many have referred to the stem cells used in these stroke treatment as “adult stem cells.” There is a catch, however: Some of the “adult” stem cells actually were derived from aborted fetal remains. 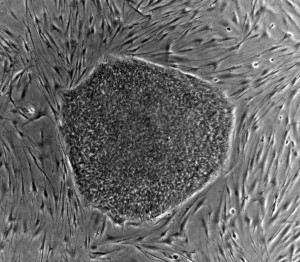 Embryonic stem cell research is highly controversial—and rightly so. Embryonic stem cells—also known as pluripotent stem cells—can form into virtually any cell in the human body. Theoretically, embryonic stem cells can be used to regrow cells or tissue missing in a person’s body. Some believe this could be used to treat or reverse permanent injuries, paralysis, and similar conditions, just to name a few. However, embryonic stem cell research requires doctors or scientists to create—and then kill—human embryos in order to harvest the embryos’ stem cells. This amounts to murder of human beings—albeit very tiny human beings—in the name of science and medicine. A person becomes a “person” at the moment of fertilization. I invite anyone to come up with a more logical point at which “personhood” is bestowed. As such, these embryos are persons; they enjoy the very same rights as other people, and killing them is wrong. Adult stem cells offer an ethical alternative for researchers, doctors, and patients. Adult stem cells can be donated voluntarily in much the same way a person might opt to give blood or agree to be an organ donor. They are more mature than embryonic stem cells, and they are not as easily manipulated according to many scientists, but they still hold a great deal of promise for modern medicine. So how is it two retired athletes were given “adult” stem cells derived from aborted fetal remains? According to USA Today, the aborted unborn child from whom the stem cells were taken was likely 14 – 16 weeks old. As a result, the stem cells are not technically “embryonic” stem cells—the child was well past the embryonic stage of development—so many are comfortable referring to these as “adult” stem cells, despite the fact the stem cell “donor” (in this case an aborted unborn baby) was anything but an adult. This is not the first time aborted fetal remains have been used in scientific research or medical treatment. Researchers and pharmaceutical companies routinely use cell lines derived from aborted fetal tissue. Typically, a tissue sample is taken from an aborted child. The tissue is then grown and cultured under laboratory conditions; as the cells multiply into larger and larger tissue samples, portions of the tissue can be sold to other researchers or laboratories. We have written before about the cell line HEK-293 (“Human Embryonic Kidney cell line 293”). This cell line was derived from the embryonic kidney cells of a baby aborted in the early 1970s; it has been used extensively in researching and developing, among other things, food additives. Another popular cell line is WI-38, derived from the lung tissue of an unborn, three-month-old girl aborted in the 1960s. WI-38 is used to manufacture vaccines, including the MMR (measles, mumps, and rubella) vaccine administered to children in the U.S.
PER.C6 is a cell line derived from retina cells taken from an unborn child aborted in 1985. Like WI-38, it has been used to research and manufacture vaccines. We have serious concerns about any research based on aborted fetal remains; it treats unborn children like commodities, and it is used to help excuse or legitimize abortion. Medical researchers and doctors need to think very carefully about the ethical implications of this kind of science. Patients, also, need to be diligent in their research to make sure any medical treatment they receive is conscionable.